Benita has been a member of Chiku Awali since 2007. She began teaching and choreographing work for the children's classes in 2011. Although Benita danced in high school, her focus has been on her family. However, once she began taking African dance classes, she fell in love with the art form and she is good. She has been the lead in both Yaa Asantewaa and in Zabli choreographed by Jerry Dzokoto. In 2010, Benita travel to Ghana and danced Yaa Asantewaa at the Alliance Francaise with two other dance companies. Benita believes that Chiku Awali not only provides exuberant dance classes, but it also gives her a great escape, and helps keep her peaceful, healthy and fit! 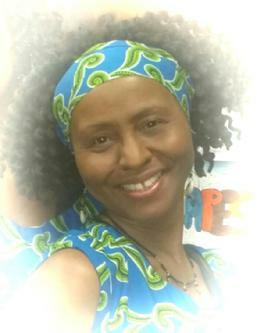 In addition to teaching African dance, Benita is a certified Zumba instructor. Benita is an employee of the Laboratory Corporation of America (LabCorp) at Nyack Hospital. Prior to that she worked for American Express World Financial Center for ten years. Benita enjoys listening to jazz, gospel, and contemporary Christian music. She also enjoys reading, working out, Zumba, and of course African Dance.